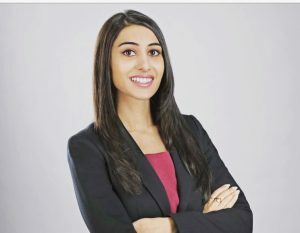 Dr. Sanju Khinda was born and raised in Winnipeg, Manitoba, where she completed her Bachelor of Science degree at the University of Winnipeg. Following her undergraduate degree, Dr. Khinda moved to Minneapolis, Minnesota where she obtained her Doctorate degree from Northwestern Health Sciences University. Dr. Khinda utilizes various techniques, suited to her patient’s needs, which include: gentle spinal manipulation, Activator, Arthrostim, Active Release Technique (ART), Graston Technique, Kinesio Taping, as well as rehabilitative exercises and nutritional recommendations. She also had the opportunity to work with professional athletes, at both state and national levels. She, herself, is a professionally trained dancer and former dance instructor; therefore, is familiar with conditions commonly seen in dancers and athletes. Dr. Khinda is Webster certified and a current member of the International Chiropractic Pediatric Association (ICPA). She has worked closely with infants and expectant mothers, during every trimester of pregnancy.